[center][size=2][url=http://www1.flightrising.com/forums/qnc/2547779#post_2547779]Intro[/url] | [url=http://www1.flightrising.com/forums/qnc/2547779#post_35799766]Rules + FAQ[/url] | [url=http://www1.flightrising.com/forums/qnc/2547779#post_35799769]Spreadsheet[/url] | [url=http://www1.flightrising.com/forums/qnc/2547779#post_35799771]Badges[/url] | [url=http://www1.flightrising.com/forums/qnc/2547779#post_35799774]Prizes 1[/url] | [url=http://www1.flightrising.com/forums/qnc/2547779#post_35799776]Prizes 2[/url] | [url=http://www1.flightrising.com/forums/qnc/2547779#post_35799782]Screenshots[/url][/size] [IMG]https://i.imgur.com/EIQKZbA.png[/IMG] [size=5]Running Status: [color=red]Closed! [/color][/size] [b][size=4]Open to all flights! Starting October 21th 6:00 to November 4th 6:00 FR time Buy-in of 20kt to participate[/size][/b][/center] [columns] [color=transparent]_[/color] [nextcol] [img]https://i.imgur.com/rJOe02l.png[/img] [img]https://i.imgur.com/YPcb0uA.png[/img] [img]https://i.imgur.com/YPcb0uA.png[/img] [img]https://i.imgur.com/eRLsnDu.png[/img] [nextcol] [color=transparent]___[/color] [nextcol][size=4]Dear wyverns and drakes, welcome to the Scavenger Hunt! Plaguemomma is working on a special new [s]disease[/s] recipe in the [s]Wyrmwound[/s] kitchen to celebrate Plague Flight. However, she doesn't have any of the ingredients she needs! The Pup Scouts of Sornieth have been asked to gather food and materials to help her cook. The scouts that have been most helpful get a special badge, and others receive gifts as tokens of her appreciation. We require a small fee before you begin to play: 20000 treasure (20kt) or 20 gems. Please send this money to the thread runner, @Imorca, in a PM titled "ScavHunt Buy-In". The Scavenger Hunt is an official Plague dominance program, and 100% of the proceeds go to our Dominance bank. [nextcol] [color=transparent]___[/color] [nextcol] [img]https://i.imgur.com/rJOe02l.png[/img] [img]https://i.imgur.com/YPcb0uA.png[/img] [img]https://i.imgur.com/YPcb0uA.png[/img] [img]https://i.imgur.com/eRLsnDu.png[/img] [nextcol] [color=transparent]_[/color] [/columns] [b]Plain Description:[/b] This is a dom event designed to make coliseum grinding fun again. The goal of this event is to find as many rare items listed on our tracker spreadsheet as possible! Rare items are worth points that will give you better chances of selecting the prize you want. At the end of the event, twenty winners will be selected: the top 10 people on our leaderboard for Most Points Earned and Most Unique Items Found. All participants get a chance to win prizes as well as earn badges. The Scavenger Hunt is open to any type of player: you do not need a team of lvl 25 fighters to compete. Whether profit exalting, leveling up dragons, searching for an Eliminate, or simply looking to earn some money, participating in the hunt is sure to bring some fun to coliseum grinding. ___ Dear wyverns and drakes, welcome to the Scavenger Hunt! Plaguemomma is working on a special new disease recipe in the Wyrmwound kitchen to celebrate Plague Flight. However, she doesn't have any of the ingredients she needs! The Pup Scouts of Sornieth have been asked to gather food and materials to help her cook. The scouts that have been most helpful get a special badge, and others receive gifts as tokens of her appreciation. We require a small fee before you begin to play: 20000 treasure (20kt) or 20 gems. Please send this money to the thread runner, @Imorca, in a PM titled "ScavHunt Buy-In". The Scavenger Hunt is an official Plague dominance program, and 100% of the proceeds go to our Dominance bank. Plain Description: This is a dom event designed to make coliseum grinding fun again. The goal of this event is to find as many rare items listed on our tracker spreadsheet as possible! Rare items are worth points that will give you better chances of selecting the prize you want. At the end of the event, twenty winners will be selected: the top 10 people on our leaderboard for Most Points Earned and Most Unique Items Found. All participants get a chance to win prizes as well as earn badges. The Scavenger Hunt is open to any type of player: you do not need a team of lvl 25 fighters to compete. Whether profit exalting, leveling up dragons, searching for an Eliminate, or simply looking to earn some money, participating in the hunt is sure to bring some fun to coliseum grinding. [center][size=2][url=http://www1.flightrising.com/forums/qnc/2547779#post_2547779]Intro[/url] | [url=http://www1.flightrising.com/forums/qnc/2547779#post_35799766]Rules + FAQ[/url] | [url=http://www1.flightrising.com/forums/qnc/2547779#post_35799769]Spreadsheet[/url] | [url=http://www1.flightrising.com/forums/qnc/2547779#post_35799771]Badges[/url] | [url=http://www1.flightrising.com/forums/qnc/2547779#post_35799774]Prizes 1[/url] | [url=http://www1.flightrising.com/forums/qnc/2547779#post_35799776]Prizes 2[/url] | [url=http://www1.flightrising.com/forums/qnc/2547779#post_35799782]Screenshots[/url][/size] [img]https://i.imgur.com/rD2mbmT.png[/img][/center] [LIST=1] [*] [size=4][b]Play fair! Do not cheat, bot, buy, or lie about your drops. [/b][/size] [*] [size=4]Do not participate if you have not sent in the buy-in! (Organizers will periodically check the hub spreadsheet to enforce this rule. )[/size] [*] [size=4]Be patient and kind to all other participants and organizers. [/size] [*] [size=4]Do not work in teams to gain more points - teams may be added in the future, but for now, only individuals are permitted. [/size] [*] [size=4]The following drops [b]must[/b] include a link to a proper screenshot to be counted towards your point totals:[/size] [/LIST] [indent][LIST=a] [*] [size=4]Boss Familiars[/size] [*] [size=4]Python and Morph[/size] [*] [size=4]Eliminate[/size] [*] [size=4]All Egg Drops[/size] [/LIST][/indent] [center][img]https://i.imgur.com/nD29axY.png[/img][/center] [b]Q: I'm from Plague, and where'd the donation badges from the previous run go?! Can we still send stuff in? [/b] A: I'm not opening donation badges up for all flights, simply because I do not have the free time to log and sell everything I'd get. 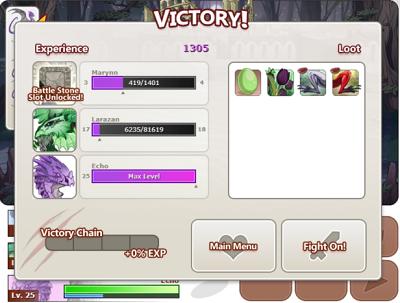 If you're in Plague, you can still donate items from this run and earn the donation badges shown [url=http://www1.flightrising.com/forums/fd2/2533604/1#post_35472617]here[/url]. 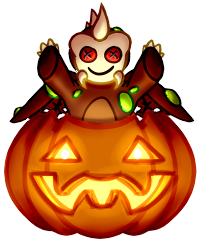 [b]Q: I'm not in Plague, but want to support the Scavenger Hunt with more than just my buy-in - how do I do that? [/b] A: I accept donations through PM! I take everything: items, currency, even your efforts as an artist/writer/leveler. All are appreciated. Donations either fund future prizes or are sent to the Plague Dom bank. [b]Q: How are prizes distributed? [/b] A: The #1st person on the leaderboard (located on the Hub spreadsheet) for Most Points gets the first pick of the prizes. The #1st person for Most Unique Items gets to pick a prize pack second. After that, winners are chosen randomly based on the number of points they've earned on their spreadsheet. For example, if you have 5,000 points, you may have tickets #1-5000. If I choose number 2,593 out of 20,000 tickets total, you would have the chance to select a prize. The order in which users are drawn determines the order in which they choose prizes. One user can only win one prize pack. [b]Q: Something broke on my spreadsheet!!! What do I do now? [/b] A: Here's a step-by-step process for troubleshooting. [list=1] [*] Make a new copy from the Tracker Template, and move your recorded data onto the new sheet. Check if the problem is still occuring. (I fix all reported errors on the template sheet, but I cannot go into individual sheets to fix them. Sometimes, you just have outdated code.) [*] Check the forum thread to see if other users are experiencing the same problem, and whether I have posted a solution. [*] Ping me (@Imorca) in the forum thread detailing what problem you're having, on what part of the sheet, and what situation started the error. Play fair! Do not cheat, bot, buy, or lie about your drops. Be patient and kind to all other participants and organizers. Do not work in teams to gain more points - teams may be added in the future, but for now, only individuals are permitted. Q: I'm from Plague, and where'd the donation badges from the previous run go?! Can we still send stuff in? A: I'm not opening donation badges up for all flights, simply because I do not have the free time to log and sell everything I'd get. If you're in Plague, you can still donate items from this run and earn the donation badges shown here. Q: I'm not in Plague, but want to support the Scavenger Hunt with more than just my buy-in - how do I do that? A: I accept donations through PM! I take everything: items, currency, even your efforts as an artist/writer/leveler. All are appreciated. Donations either fund future prizes or are sent to the Plague Dom bank. Q: How are prizes distributed? A: The #1st person on the leaderboard (located on the Hub spreadsheet) for Most Points gets the first pick of the prizes. The #1st person for Most Unique Items gets to pick a prize pack second. After that, winners are chosen randomly based on the number of points they've earned on their spreadsheet. For example, if you have 5,000 points, you may have tickets #1-5000. If I choose number 2,593 out of 20,000 tickets total, you would have the chance to select a prize. The order in which users are drawn determines the order in which they choose prizes. One user can only win one prize pack. Q: Something broke on my spreadsheet!!! What do I do now? A: Here's a step-by-step process for troubleshooting. Make a new copy from the Tracker Template, and move your recorded data onto the new sheet. Check if the problem is still occuring. Check the forum thread to see if other users are experiencing the same problem, and whether I have posted a solution. Ping me (@Imorca) in the forum thread detailing what problem you're having, on what part of the sheet, and what situation started the error. Our Tracking Template has all the items you need to record listed. 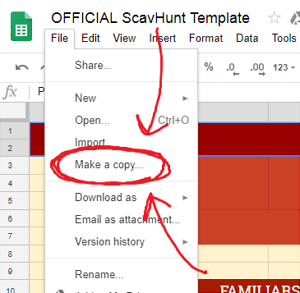 When you find an item, go to the Tracking tab on your personal copy of the ScavHunt Tracker sheet. Find the table your item belongs under and fill in the drop down menus, if required. Put the number of items you found in the blank column. If you get another drop of the same item, simply go back to this number and add 1 to it. The Hub spreadsheet shows you all the different people participating. It also features an updating leaderboard, so you can see if you're about to take the #1 spot! 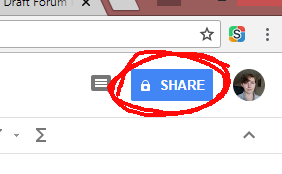 Turn on link sharing on your copy of the template sheet! Paste the link to your sheet on our Hub Spreadsheet, as well as your username. This event couldn't be possible without a ton of people's help! Big thanks to Aeronaught for coming up with the idea to revive this event, being the spreadsheet wrangler, and being a fellow leader. Thank you to ShadeOfChaos and Peyp for revamping the tracker sheet and pinglist; I'd be totally lost without you guys. So many thanks to all the generous users who donated their skills and time as prizes! Amazingly big thanks to HeadlessKing, MetallicRoar, Rabid, HighFives, bunlux, Chiad, and anyone else who donated items!!! Thank you to Bilbroswaggins and everyone who helped with the original Scavenger Hunt event! Not sure how to take a screenshot? Confused on what to include in your screenshot? Not sure how to make an image available to the organizers? All the info you need is below! This screenshot shows the whole coliseum screen, including the special rare drop. Please crop all screenshots down to only the coliseum screen. MAC - Press Shift, Command, and 3 at the same time. This captures your full computer screen and saves it to your computer. MAC - Press Shift, Command, and 4 at the same time. Then, click and drag to select the area of your screen that you want to screenshot. WINDOWS - Press the Windows key and PrtScr at the same time. This captures your whole screen and saves it to your clipboard. Open up your favourite art program, right-click, and paste. Then you can save your screenshot to your desktop. WINDOWS - "Snipping Tool" allows you to select part of your screen and save it. ETC - Use 3rd party applications: downloadable programs such as Lightshot, ShareX and Chrome/Firefox extensions both help. If all else fails, google "how to take a screenshot on [your device here]". Find a free image hosting site (I personally use Imgur, but there are many others). Make sure your site allows you to put your image on other websites! Either right-click or press ctrl and click, then select the "copy image address" option. Paste the copied URL into the tab for screenshots on our spreadsheet! YAYYYYYYYYYY!!!!! I can't wait! I'm a bit busier than usual at work the next two weeks, but I'm still really looking forward to this.